We have over 20,000 stock designs to choose from. Please Click on Dakota Collectibles link below to choose your design. 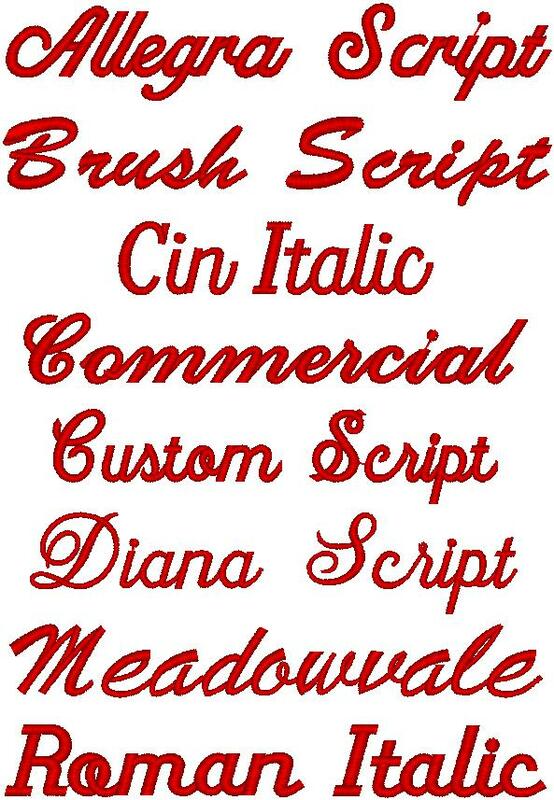 Here are some samples Fonts. There are many more fonts to choose from at the store location. We provide Custom design services to fit our customers need. While we have a large embroidery design library, often times we get requests from people who are interested in custom digitized patterns. To help make the process quicker and easier for our users, we offer digitizing services.